Having a well-lit environment is critical to the interactions between customers and businesses. Good lighting not only brings safety to the area, but it also makes the property more attractive. CBRE is the largest commercial property management company in the US. Their major nationwide client, Siemens, has a location in Pomona, which had poor lighting in the parking lot and zero lighting at the entrance and exit gates. The location is in a high vandalism area, so when the electric gates opened to let freight trucks in and out, homeless people wandered into the facility and vandalized the property, causing significant financial loss due to repairs and theft. 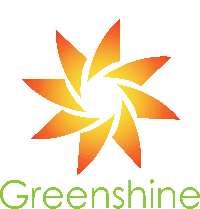 CBRE contacted Greenshine to provide a photometric simulation, layout, and quote to install four new solar light poles; two in the parking lot, one at the entrance gate, and a final at the exit. State and local laws have introduced a number of policies that support building owners in installing solar upgrades. There are various LED street light financing options that makes this transition much smoother than one might think. Building owners can also contact Greenshine’s lighting experts to get information on the most recent government rebate and incentive programs.